MachineHack recently concluded the “Visualisation is Beautiful: Data Science Salary Visualisation Challenge”. 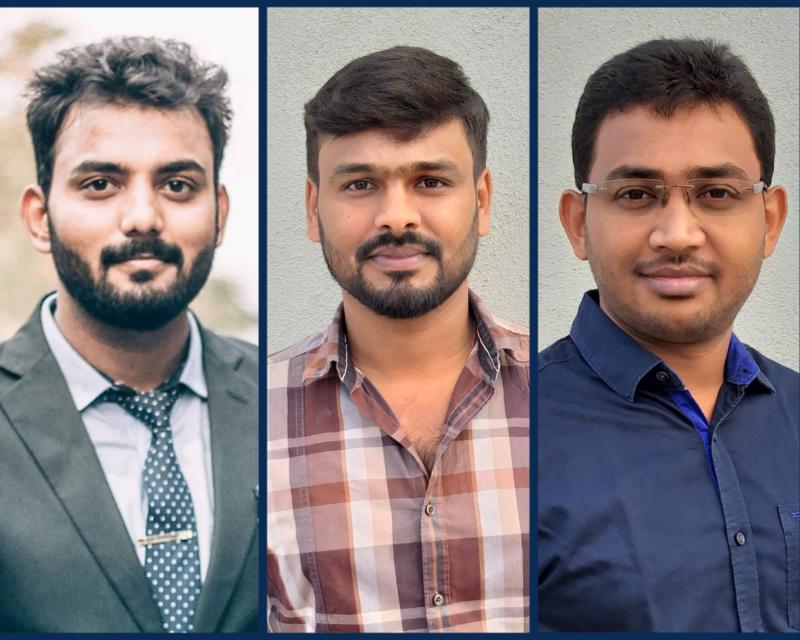 Analytics India Magazine talked to the winners of the hackathon and found out their experience of participating and winning the hackathon. The decision for the best visualisation was arrived upon by counting votes each participant had gotten. Mani Rathina Velu was Ranked #1 on the leaderboard. Mani started his career in the Business Intelligence world as a Report/Dashboard Developer using SAP Dashboards, Crystal Report and Webi at Bizviz Technologies Pvt Limited. He learnt other Business Intelligence tools like Jaspersoft, Tableau, Power BI and BDB Platform to enhance the knowledge and business needs. He started learning about data analytics when he worked on the project at this company. The data science learning started when we predicted the match winners for Cricket World Cup 2015 using SQL calculation. Under the guidance of his mentor Avin Jain (CEO Of BizViz) the process had completed with high accuracy. He went onto implementing a complete End to End Data Analytics platform (Data Collection-Ingestion-Transformation-Reporting/Dashboarding) using BDB for a Retail industry. This project really inspired him to get into Data Science. From there the Data Science journey started for Mani and he picked up R language and then took out time to learn Python, Spark ML and Deep Learning (TensorFlow and Keras). He took an active interest in developing ML algorithms to predict the match winners for IPL T20 2018 and it also predicts the score for each over using BDB Data Pipeline in a live match. Using BDB Data Preparation tool, cleaned redundant data in the file. Collaborated with our analytics team in BDB, used text analysis to delimit and analyse the data. Used BDB Predictive Workbench for clustering algorithm to find the insights. The aim was to develop the dashboard with Descriptive and Predictive Analytics for this Hackathon using BDB Dashboard Designer. If time would have permitted I would have added Prescriptive part also in the same dashboard. Anubhav Gupta came second on the leaderboard. Talking about how the data science journey started he said, “The journey towards exploring data science has just begun and I think it would be a bumpy ride ahead”. His journey has started in 2017 right after completion of my Bachelors’ degree. I had a few months of time before starting my professional career. These were the days where the buzz was about data scientists are the hot cakes of the IT industry. It was during that period his little research caught attention to this phrase “Data Scientist: The Sexiest Job of the 21st Century”. His love towards numbers and solving puzzles has provoked me to explore career opportunities in Data Science, also Statistics was one of my favourite subjects in high school. Anubhav quickly realised Data Science is all about scientific exploration of data to take out some insights in a business context. He did not want to stop his quest there, but back into my mind, I knew that my job would entail software development/testing. He started signing up courses on data analytics/data science from DataCamp, Edx, Coursera etc. and learned foundational basics of Python and SQL. Taking up courses helped him understand better. “Learn, Practice and Improve” is the mantra to excel in any field one desires to be in so I need to practice and improve to go further. Once his professional career had started to my surprise I was tagged to a project on Data Science. I got my first project, there I learned data analysis and data visualisation using tools like QlikSense and PowerBI. Understanding the data and converting them into insightful visualisations is the first step towards data science and he is on to it. Primarily, Anubhav understood the data and did some data cleansing. After that, he selected the fields (Selecting dimensions and measures) which can give more insightful information about the data science salary as per the data provided. A secondary task was to select the tool for presenting the data in form of beautiful visualisations. He chose QlikSense as I have hands-on experience on QlikSense. The last and significant task was to select the type of visualisations and their placement in the dashboard. After sketching a rough idea in my head using the above analysis and selection, I replicated the same to solve the problem of the hackathon. Karthikeyan. PS came in third on the leaderboard. Karthikeyan started his journey with Avin Jain. He said, “All this started from the one man, my mentor Avin Jain who believed me and gave me the first chance to start my career at BDB. He started as a Quality Analyst of SAP BOBJ products at SAP LABS, Bangalore and gradually started handling Customer issues directly and that gave him more exposure to the actual business scenarios. He soon learnt other leading BI tools in the market like BDB, Jasper reporting, Tableau, PowerBI to achieve various business desired Visualisation. Over the years, he worked with multiple customers from different verticals and done different types of end-to-end implementation according to their business needs. During this journey, he has gone through various implementation blockers and hunted for the best solution to get them Go-live. He used BDB Platform for visualisations and till now he has worked on projects like Customer Segmentation, RFM Model, Demand Forecast, Market Basket Analysis, Feedback Analysis to Retail and Marketing verticals. When he started with data, we observed many redundancies, unstructured data on few columns like job description and skills. He believes data clean-up is the most important part of any analytics, he decided first to clean up and make the data more proper and structured that can be used for Analysis smoothly. Using BDB Predictive workbench, he ran some text analytics and organised the data in a structured way. Followed by that, he ran clustering and LR based algorithms and consumed the result directly in BDB Dashboard Designer module to visualise. Summarised the dashboard with a descriptive and predictive part in the limited time.